Rajakkad is a major town in Idukki district in the Indian state of Kerala situated in the Western Ghats. Rajakkad is one of the fastest growing towns in Kerala. Most of the people in Rajakkad depend on farming. Main crops grown in Rajakkad are Elaichi, Black pepper, cardamom , Ginger etc. Availability of transport facilities in Rajakkad is in Good Condition.There are many private and KSRTC buses to different major cities such as Ernakulam, Kottayam,Muvattupuzha. 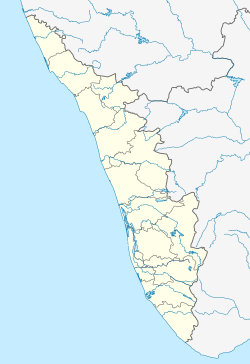 Kattapana, Pala, Adimali, Kothamangalam etc. The nearest Airport is Cochin international air port 109.5 Km and nearest railway station is Aluva 107 KM. Rajakkad is a now a main tourist place in idukki district.Famous tourist spots near by Rajakkad is Kallimali View Point, Ponmudi Dam, Kuthumkal Waterfalls, Rippile (S.N) Waterfalls, Ponmudi Hanging Bridge,Nadukani View Ponit, Kanakakkunnu, Etc..
As of 2011[update] India census, Rajakkad had a population of 16378 with 8219 males and 8159 females. This article related to a location in Idukki district, Kerala, India is a stub. You can help Wikipedia by expanding it.